Early this year, our partner the European Social Network (ESN) published a new report on the role of social services and education in fostering the inclusion of migrant children and young people. The study is based on the result of a questionnaire sent to public social services, local authorities and third sector organizations working with migrants and migrant children. 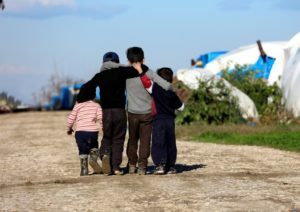 The report stresses the main challenges face by migrant children in accessing education, training and healthcare, and provides an overview of the national legislation related to unaccompanied migrant children in Europe. The study reveals that a long asylum application process, together with delayed access to education and care, affect integration into host societies. The report recommends that individual support for children with specific needs and provision of a guardian should be ensured immediately upon a child’s arrival. Furthermore, the study suggests that psychologists, healthcare workers, teachers and other staff members in reception centers should have relevant professional experience of working with culturally diverse children. Finally, the report gives interesting examples of best practice from across the Member States showing how to ease the integration of migrant children into host communities. To know more about the European Social Network report, please read ESN news.